Fail? This is so much win!!! 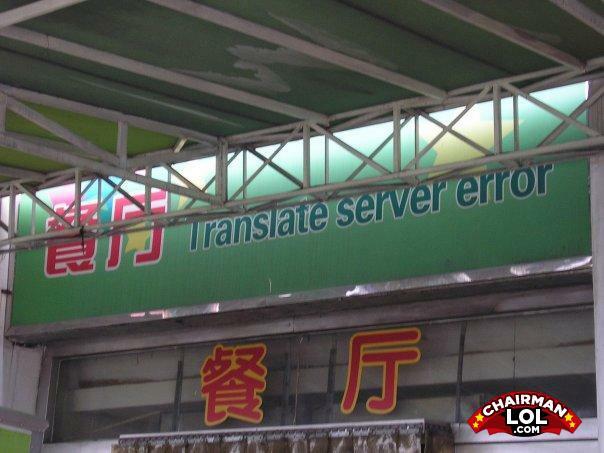 [ERROR] translator server error. [ERROR] proxy limit met. [ERROR] insufficient memory. [ERROR] clearing temporary internet files. [ERROR] formatting hard drive. [ERROR] cpu at destructive temperatures. [ERROR] permanent shut down enabled. cpu destroyed. Nearly as good as the welsh sign that was a translator's out of office reply!